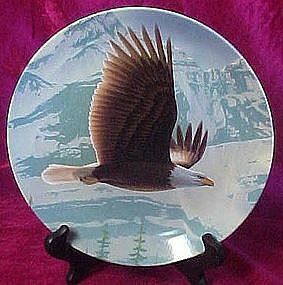 Beautiful collectors plate from the Majestic Birds of Prey series by Knowles China. THis is the first plate issued in the series by artist Daniel Smith. THis plate sponsored by the Society of the Preservation of birds of prey. Limited edition was limited to 150 firing days, ad is hand numbered and comes with its certificate of authenticity and original box. Never displayed.